The best part about having Dave Spencer as a leader within our company is his passion to impact and inspire others about the life-changing services we provide here at Centria. Centria Healthcare is thrilled to announce the appointment of Dave Spencer as Chief Marketing Officer, effective May 21, 2018. Spencer brings decades of marketing experience and executive leadership to Centria Healthcare, the nation’s largest and fastest-growing provider of Applied Behavior Analysis (ABA) therapy for children with autism, and provider of in-home Rehabilitation and Private Duty Nursing care. 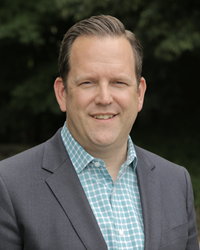 As Chief Marketing Officer, Spencer will oversee the company’s national marketing strategy and will be responsible for helping to connect the thousands of families who have a child with Autism Spectrum Disorder (ASD) with Centria’s behavioral professionals to help children reach their fullest potential. During his career, Spencer has accumulated a wealth of experience across several industries, including automotive, telecommunications, packaged goods, telematics, and financial services. Spencer said that his most rewarding work has come from service-oriented marketing roles that have had a positive impact on people and their communities. “I’m most looking forward to working within a mission-based organization that is driven to help children reach their full potential,” Spencer said. Previously, Spencer served as Vice President of Marketing at TMS., Senior Vice President and Director of Engagement at MRM//McCann, and V.P. Account Director at Doner Advertising. Additionally, he managed brand strategy and integrated marketing for OnStar, Chevrolet, and Buick on national and global levels. Spencer’s work has resulted in several awards, including the 2014 Nielsen Luxury Automotive Campaign of the Year, 2013 Ace Metrix Luxury Automotive Advertiser, and 2002 Gold EFFIE Award. Centria Healthcare is a leading provider of home-based catastrophic injury and rehabilitation services, private duty nursing, supportive living services, and Applied Behavior Analysis therapy for children with autism. With more than 2,000 trained clinical staff members across the country, Centria provides much-needed support to families living with autism, from pre-diagnosis options to treatment planning to direct therapy services. Autism Spectrum Disorder (ASD) is complex neuropsychological condition that can adversely affect child development and global functioning through deficits in communication and social interaction, adaptive skills and learning, and patterns of restricted, repetitive behavior, interests, or activities. While the underlying cause of ASD is still unknown, numerous studies over 30 years have shown that starting as soon as possible after diagnosis with comprehensive intensive behavioral intervention based on the principles of Applied Behavior Analysis can improve developmental trajectory, reduce the needs for special services and supports at school-age, and increase the capacity for independent living.